From the everyday to the hard to imagine, the School of Electrical and Computer Engineering (ECE) at Georgia Institute of Technology is at the core of almost all technology. 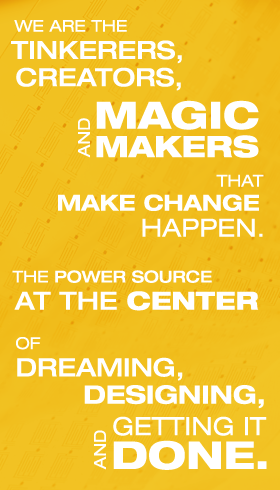 Our students and faculty are the tinkerers, creators, and magic makers that make change happen—the power source at the heart of dreaming, designing, and getting it done. Georgia Tech ECE is one of the top-ranked schools in the nation with the largest program of its kind in the United States. Our diverse and talented student body come from all over the world. They come to experience ECE’s first-class education and research programs, which offer a multitude of customizable options: flexible pathways with 11 technical interest areas, 300-plus student organizations, more than 80 study abroad programs, and 19 Georgia Tech research centers, to name a few. 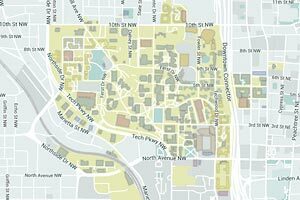 ECE is located in the epicenter of Atlanta, a thriving, vibrant community. As one of the fastest-growing markets for high-tech development in the world, Atlanta provides a plugged-in backdrop and a multitude of networking and top-tier job opportunities. Almost every industry, including aerospace, biomedical, energy, robotics, manufacturing, automotive, and computer, recruits ECE graduates.